September | 2015 | Jim Moon Jr.
After a long day in the sun harvesting beans by hand with five of his friends and helpers, this farmer begins the task of separating the beans from the chaff using an electric fan. Then he and his crew take turns hand digging a new well. 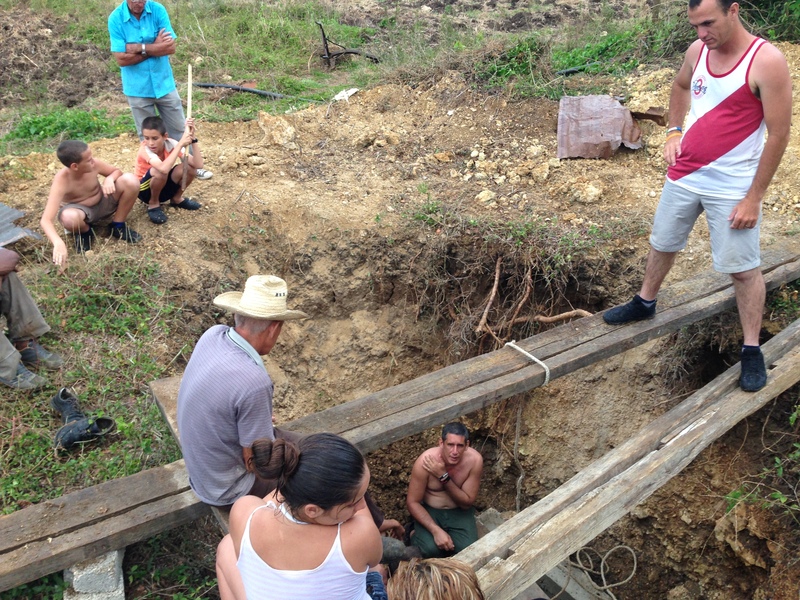 (The top of the well is below the beams and a man is 12′ below shoveling dirt into a pail). It was just two years ago that churches (and individuals) were permitted to own farms. In a country where the average salary is $25 per month, monthly food budgets run out in a week. But church farms now provide needed basic food – beens, rice, yucca and some pork – to feed many people in the church, jobs for some and help to the most materially poor through ministries to street kids and the elderly. By stepping in and helping the poor, church leaders demonstrate great faith and cause skeptical government officials to ask why. We would consider them poor! And many of them do not know where next weeks’ groceries are going to come from, but they share anyway. Click here for more info on helping us help them. Cuba: No Advertising but a Greenhouse. My first two impressions upon landing in Havana the first time. Old American cars and billboards like this one. (It says Socialist Revolution: of the lowly, by the lowly, for the lowly). It took a day to sink in. There is almost no commercial advertising! A few billboards, no corporations names on buildings, no TV commercials, no radio spots. No marketing. And a people hungry to learn! Many recognize a narrowing window of time for training Cuban church leaders before the world comes rushing in. Right now the limitations with freedom they face are like a greenhouse so the gospel grows rapidly. There are two major organized institutions with influence in the country – the government and the church! Cuban movement leaders recognize it and have asked us to help them train 40K leaders to reach their nation in the next 3-5 years. Would you help us help them? Click here for more info. Do planters and pastors drink the Kool-aid that says, “I have to plant a successful church or I’m a nobody. I’ll have failed. I can’t fail.” Do I as a coach who wants to succeed at language school and serve in Cuba? Yes. What do you feel about your job? Is your job ultimately for you or for others? Is it crushing you? Maybe that’s one reason church planters struggle so fiercely when attendance is low, or someone critiques you or you aren’t getting everything done that you think you should. Maybe we all should consider our jobs as a calling. Look at it in light of this: Jesus answered the call to be crushed in our place and in doing so he grants to us God’s plan for our lives for others’ sake. *Page 2 of Every Good Endeavor by Keller and Alsdorf, quoting Bellah’s Habits of the Heart. “Why would you want to open a home for senior citizens?” asked the government official. Years ago the Cuban government closed all church-run orphanages and senior assisted living homes. Recently the churches we work with have been granted permission to start the first assisted living home in one major city in more than 50 years. 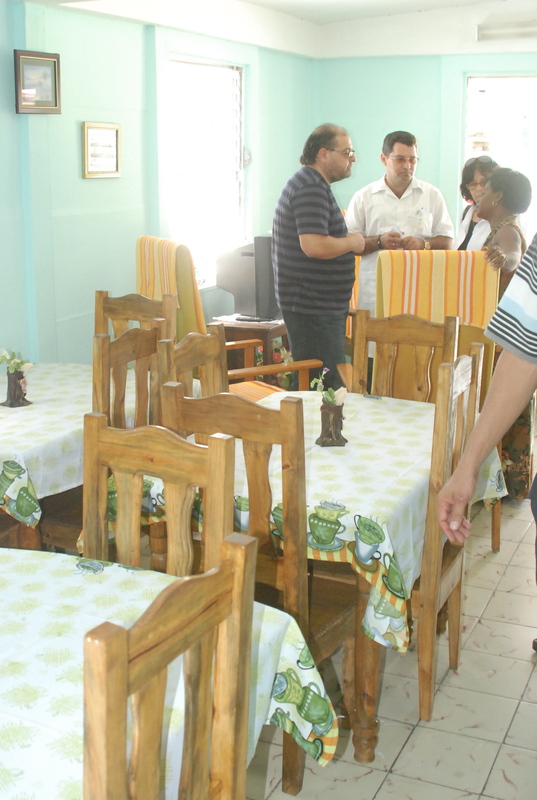 It’s called “La Casa de Esperanza” – The House of Hope and serves 7 full-time residents and adult day-care for more. Uncommon. We attended the grand opening on the veranda. There is Miguel, one of my co-trainers, leading the program. Surprisingly, three government officials also attended, took the tour, heard the testimonies, the hymns we sang and listened to the speakers talk about Christianity. It was almost a church service! They later spent 30 minutes quizzing a key church leader about why Christians would want to do such a thing. The churches barely have enough, why take on others’ burdens? The answer: Christians are taught to love others and care for their neighbors. Even if it costs them. In a country where the average salary is $20-25 per month, caring for the weak and aged is especially hard. But the gospel is being proclaimed in word and deed in Cuba and the church there is growing in surprising ways. Seminaries in Cuba? Yes! 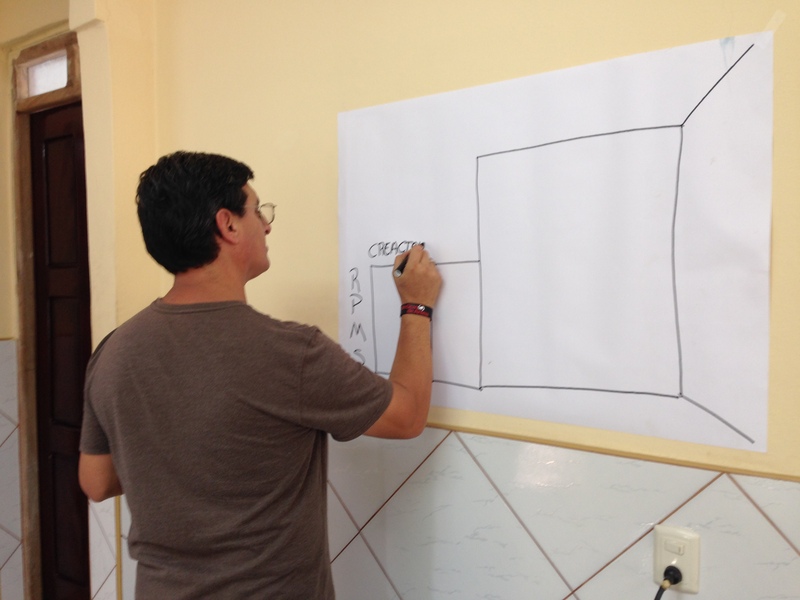 While our work is church-based, one seminary in particular has been impacted by the coaching training and my co-trainers. 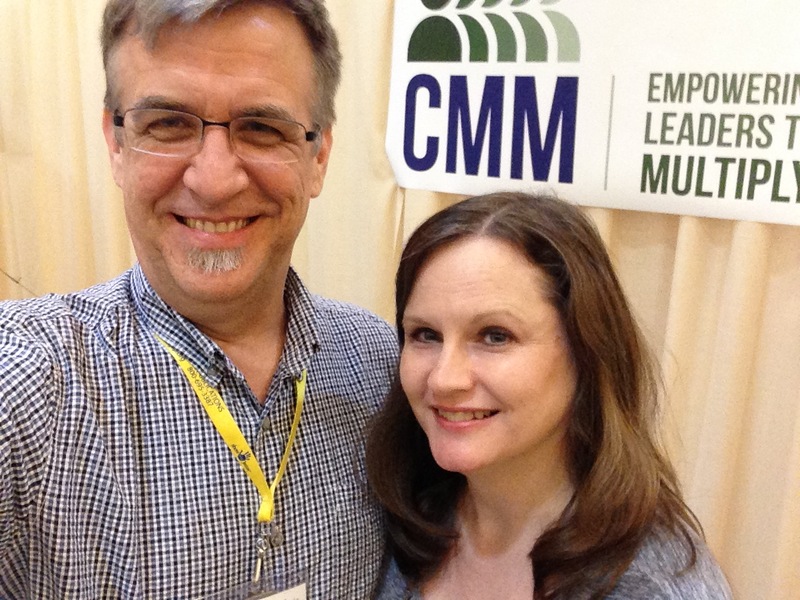 Two of my co-trainers for CMM gospel coaching have been recruited to the team that will help re-start and renew a seminary that had been practically shut down. 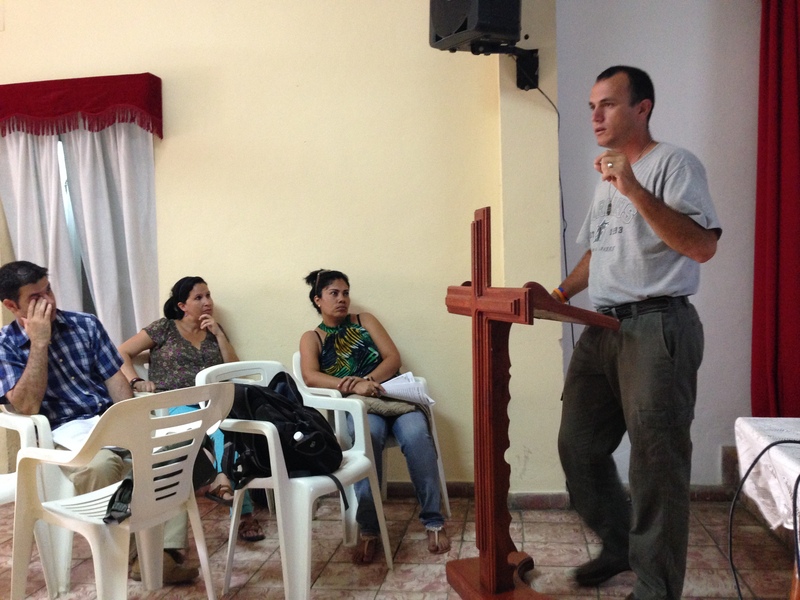 Alfredo (pictured above teaching the Gospel Story) is the interim director of the Los Pinos Nuevos seminary in central Cuba. He is leading a team that is opening six satellite campuses in six key cities in 2015. With over 20,000 house churches started in just the last five years, there is a huge need for training in Bible, theology and ministry. Coaching is a key means for personal change that effects spouses and children of men and women in leadership development. And then their church and city. Because many of the seminary renewal team has experienced the power of gospel coaching for their lives, marriages, families and house churches, they have agreed that coaching simply will be required for all students and professors as an integral means to develop church-based ministry skills alongside academic learning. Yeremi (sounds like ‘Jeremy’) pictured above, will be directing one of those six satellite campuses in the city of Matanzas where 35+ house churches have been started in seven years. He teaches Greek and practical theology while overseeing nine house churches and leading one himself. The leadership of this house church planting movement is very sharp, hard-working, motivated and sacrifices without question to expand the kingdom of God in Cuba. Think of how the lives and families of these leaders will flourish in the power of the gospel! Imagine all the people these leaders will reach with the good news of Jesus! 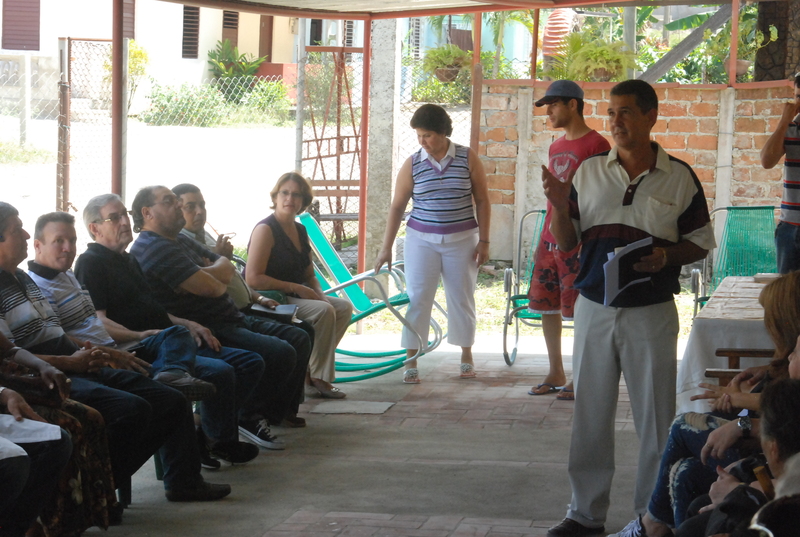 Would you help us prepare more people like Alfredo and Yeremi to lead the way to the gospel spreading to all of Cuba? Click here to donate or help spread the word. Thanks so much! How do you dignify Cubans who have nothing? We have SO much in the US. Every time I go to Cuba, I get to bring basics they can’t get (like aspirin, vitamins, toothpaste, deodorant, soap, shampoo) or simply pay for treats that we here take for granted. This is a practical way to dignify and bless the people we serve alongside but have so little materially. While we never talk about personal finances publicly or directly, it’s clear that the economy is in shambles. One pastor’s wife told me privately that every single material thing everyone has in this movement has been given to them by someone else. Can you imagine? No person or family on the island can survive without outside assistance. You are a source of help and blessing every time you send us. How do you dignify a people who have nothing? Learn from them. 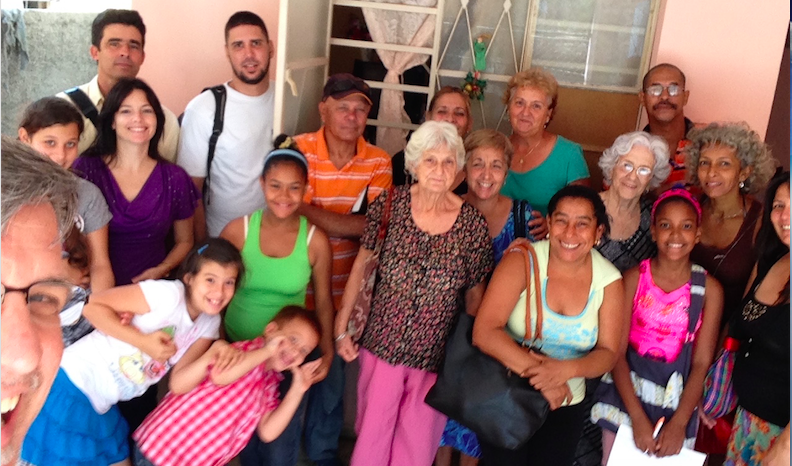 My Cuban friends and family teach me so much about humility, grace and interdependent living as a church! It amazes me most that they want us to share how to have more of Jesus’ gospel! Have mercy! If God puts it on your heart to support Elizabeth and I as we prepare to serve the movement in Cuba better, that’d be great. Click here for more info. 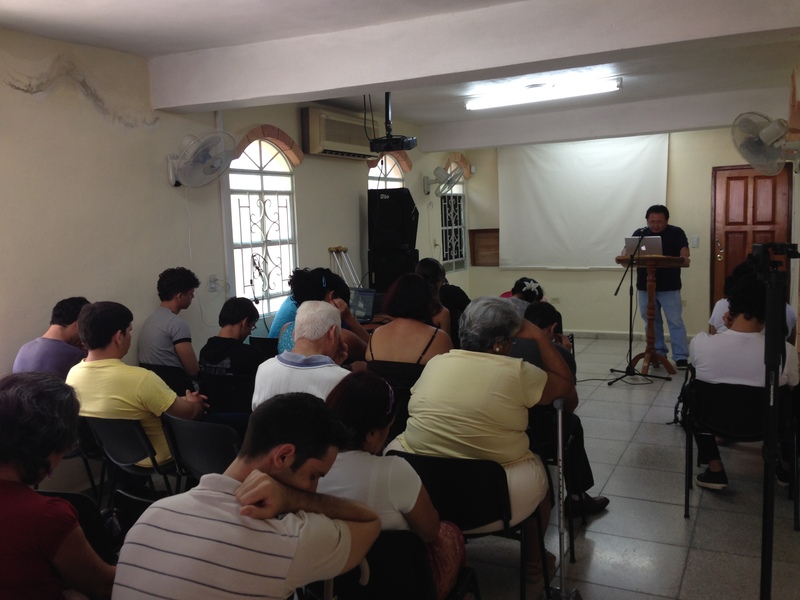 Why so many house churches in Cuba? 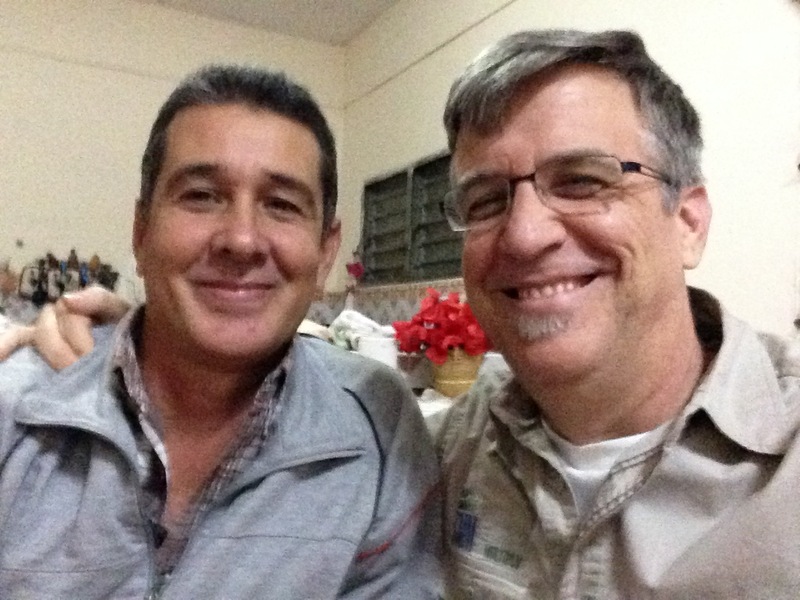 Why so many house churches in Cuba? It was decided that no more church buildings would be permitted. But God’s work goes on unhindered! People are allowed to meet in their homes all they want. So 1000s of new churches sprout up in a home, grow, outgrow and multiply as hundreds of thousands are converted to Christ. Since 2011, one Bible-believing denomination as grown from 250 churches to more than 30,000 churches and house churches! Elizabeth and I have been asked to commit to train key Cuban leaders for 3-5 years who will multiply other gospel driven leaders. But our Spanish skills are insufficient. So we’re planning to move to San Jose Costa Rica for 8 months for language school. Would you invest in our training so we can invest in key Cuban leaders who will take the gospel to the whole island? And would you pray for us? There’s a $10K matching pledge made and $1850 has been matched in one week. Please ask the Lord if He wants you to support us! Every bit helps. And if He says yes, click here to donate! Thanks! 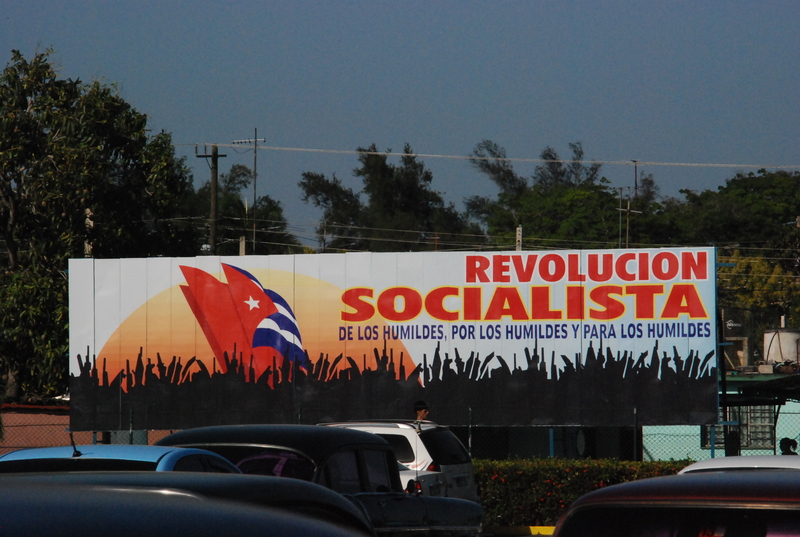 Does the Cuban government inhibit the spread of the gospel? Q: Does the Cuban government inhibit the spread of the gospel? A: Not like before. For 30 years the Cuban church was marginalized, pastors were put in re-education camps, all Christians were suspected enemies and spied upon. But in ’91 after the USSR fell, things changed. Officially Cuba changed its constitution from ‘atheist’ to ‘secular’ and people were permitted to believe in God. 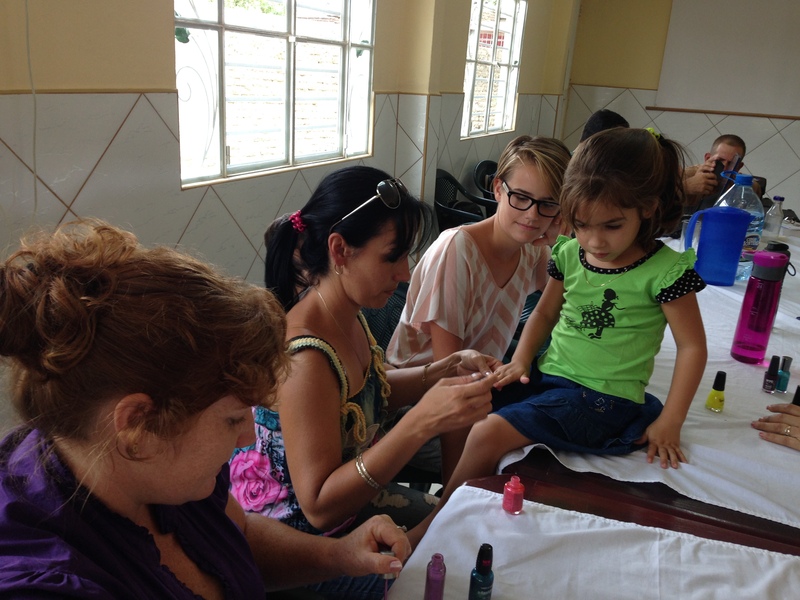 Mistrust has been slow to overcome among church leaders and the gospel can still seem suspicious to the average Cuban. Miguel is the son of one of those faithful pastors. He has lived his whole life with hardships. Now a pastor and movement leader, the government allows him much that was unheard of 5, 10, 20 years ago – public events, church-funded hospice and churches in homes. And God is teaching church leaders like him to trust each other in light of the truth of the gospel. Vital to sustain a movement. And what a movement of God right now! Gospel coaching is a catalyst to show church leaders how to trust each other in ways they never have. Ever. It’s changing people. Marriages. Churches. Systems. I love to see how God is changing Miguel. Amazing. We are committing to go to language school Jan-Aug 2016 and then spend 3-5 years developing gospel coaches for 40,000 Cuban house church leaders. Would you pray and ask Jesus if he wants you to support us with a one-time gift? Click here for more info. Can’t Not Go to Language School! Elizabeth and I are going to language school! Why? Planning for January through August 2016. You may have heard hints but I’ve been waiting to write about details. Here is a four-part general overview and a request for prayer about supporting us with a special one-time support gift and/or helping us raise funds. 1. The opportunity in Cuba gets bigger. Aren’t you too old for this? Maybe! Ha! But Cuba is Too Big not to go learn more better Spanish. Elizabeth needs to learn too. In Latin America, people need to know me with my wife. And we may travel more. A lot more. She’s prepared to make the sacrifice. 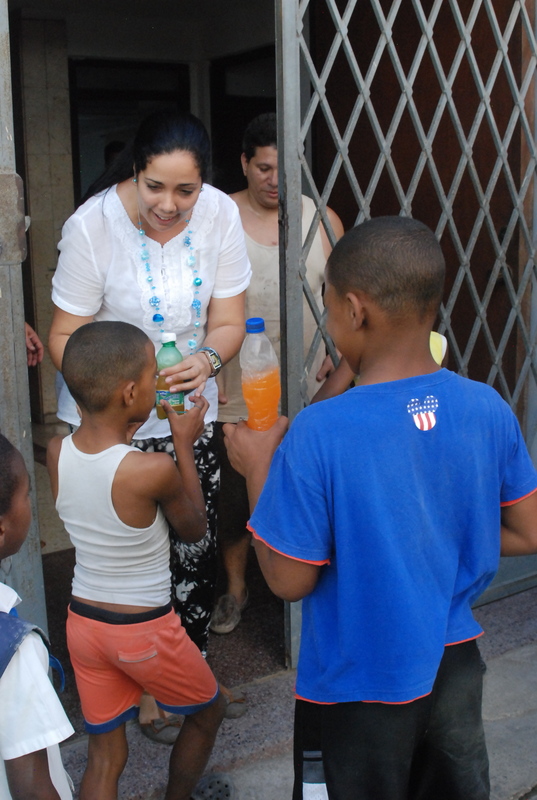 Cuban house church leaders are asking for us to help them! In a country with so many hardships, poverty and struggle, Cuban church leaders want coaching training? Yes. It’s helping them apply the gospel to the challenges in their lives and helping them multiply the gospel to their families, neighbors and cities. They travel far and at great expense to learn. Twenty people in this one group paid more than the average Cuban monthly salary to get to our training. Leadership of the Cuban training organization CENCAP came here from Havana to Atlanta to ask for a longer commitment from us. They now have asked us to make a 3-5 year commitment to train, certify and multiply Cuban trainers so the 40,000 leaders currently in training can all have a coach! They want us to implement coaching in all churches, house churches, their seminary and arts ministry! The coaching training you sent me to lead is already making a vast impact! And they want more! The CENCAP leaders said coaching may be the most vital aspect of their training in the gospel. Wow. We really need to improve our language skills! 2. So language school here we come, Lord willing! This opportunity requires that we raise extra funds by October 30. Would you ask Jesus about making an extra one-time gift to get us through language school and on to train Cuban leaders? 40,000 house churches like this one in a barrio of Havana could reach hundreds of thousands more Cubans in the next few years. Pastor Magdiel (top left corner) and his wife (Arlenis in purple shirt) and kids (clowning in front) lead four different house churches. He and other house church leaders in Cuba need a Cuban gospel coach that will help them thrive under the stresses of poverty, injustice, spiritual attack on the front lines of the battlefield. So, will you please pray about helping us gain the language skills we need to train Cuban leaders to train Cuban gospel coaches? Another way you could help would be to ask Jesus also if you ought to help us raise support among your family and friends by sending emails or messages on our behalf. Who do you know that might help? Sign up on the webpage to ‘help raise funds’ on the support page. Or simply forward this email with a paragraph or two of your own. Every bit helps! 1.We will return to Atlanta. It’s our home base. The eight-month move is temporary. While we’re gone, Erica and Austin, daughter and son-in-law will move into the house. 2. After language learning, we’ll take extensive visits to Cuba but not move. That’s an unnecessary challenge. Once trained, Cuban leaders will provide much better training at a fraction of the cost of a non-Cuban. 3. Elysia will join us after her 2nd semester at UGA and take classes for her Spanish minor at the nearby university through a UGA cooperative program. 4. I’ll still work and coach church planters while in school. The internet makes it easy. 5. Elizabeth will study full-time. She’s started working on Spanish basics. 6. We are applying to the Spanish Language Institute where I took an intensive course in 2013. It’s in downtown San Jose Costa Rica. And yes, you can visit! 7. And the answer to most common FAQ? No, language school in Costa Rica is not a vacation. Haha! 3. Ask for practical help and support. Extra expenses for language school include travel, tuition, extra tutoring, room and board, extra insurance, books and all that goes into re-locating for eight months. So would you pray and ask Jesus if he wants you to be part of the team who will support us through language school? If yes, click here to make a donation. Costs should be about $27,000. We have $10,500 of that pledged already (as of October 11, $14,100). This is a new thing for CMM so in order to get clearance to go in January 2016, we need to demonstrate to our board of directors that we have the support base to take this risk by October 30. CMM has made it easier to give online with a new system that takes debit or credit cards through end of October. Paper checks are great too. 4.This is WAY beyond us! We need your prayers and financial support more now than ever! We are nervous. I am nervous about more work in Cuba, learning Spanish better (can I do it? ), raising more support and even using new online giving and asking you to help raise funds on top of already supporting us without calling everyone! Pray for us, we’re nervous about what you’ll think and if we’ll be able to raise the money in time! I’m not in control and don’t know if any of it is going to work! This is beyond my typical risk-taking, make-it-happen comfort level! We have to trust Jesus in a big way! Wow do we need your prayers! !